Meal time is always a blast at surf camp. Breakfast is always an important meal because this is where most of the campers draw most of their energy from in the morning surf sessions and lessons. 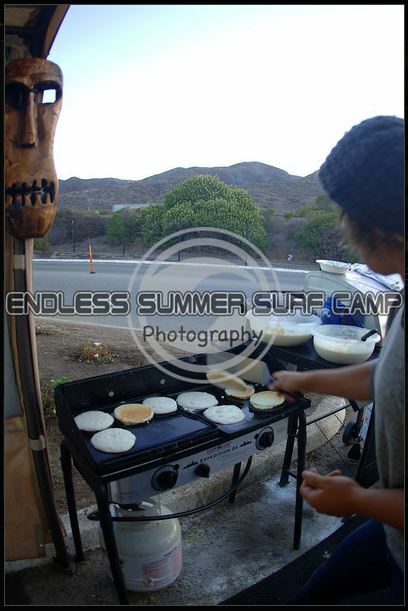 Captured in this timeless image is one of the camp leaders flipping a plethora of flap-jacks for the hungry surfers.